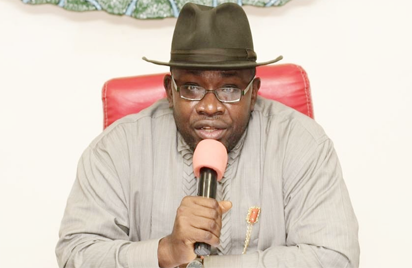 YENAGOA—BAYELSA State Government has decried the deduction of revenues from the excess crude accounts without cogent reasons by the Federal Government, describing the action as unconstitutional as monies domiciled in the account are proceeds from the 13 per cent derivation meant for oil producing states. The state Deputy Governor, Rear Admiral Gboribiogha John-Jonah (retd), made the observation during the transparency briefing covering the income and expenditure for the months of June and July in Yenagoa. He wondered why the Federation Accounts Allocation Committee, FAAC, and the Nigerian National Petroleum Corporation, NNPC, would be reporting frequent shortfalls in revenue even when the variables are showing favourable economic climate.